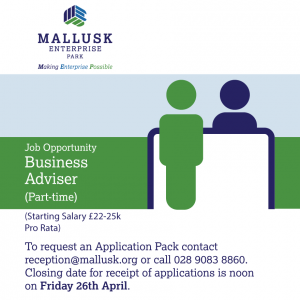 Due to continued property and business services expansion, Mallusk Enterprise Park are currently recruiting for two positions. This is an exciting time to join our team. Closing date for receipt of applications is 12 noon on Friday 26th April.